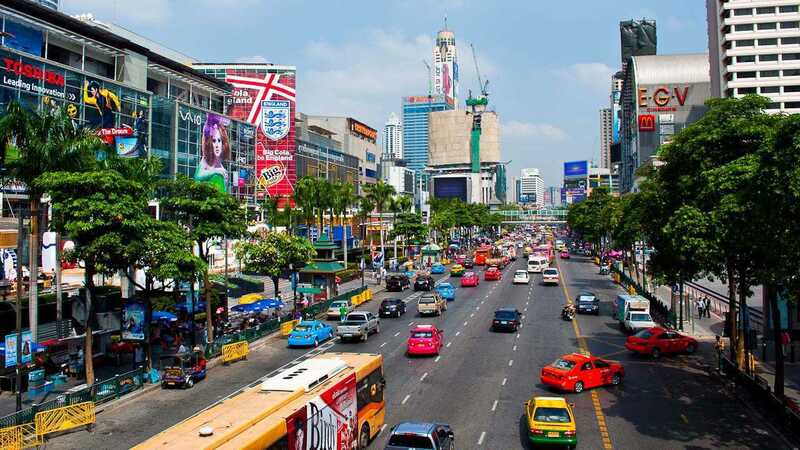 Bangkok and Thailand taxis are a very cheap and easy way to get to your Bangkok Hotel. There is a public taxi queue counter outside of the main airports around Bangkok and Thailand. If there are no public taxis then there will a counter where you can organise a lift by a private operator or a bus service. 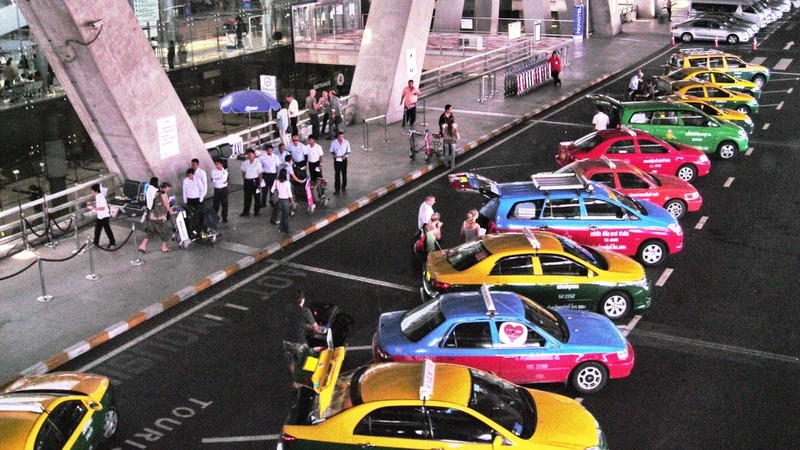 When you arrive at either Bangkok airport you can organise a price for a taxi or have them to turn the meter on. If they turn the meter on, then you have to pay any extra for the road tolls that you go through. Sometimes a taxi driver will attempt to organise a price with you without putting on the meter. It will occur all around Thailand as people who agree on a predetermined price can pay more. 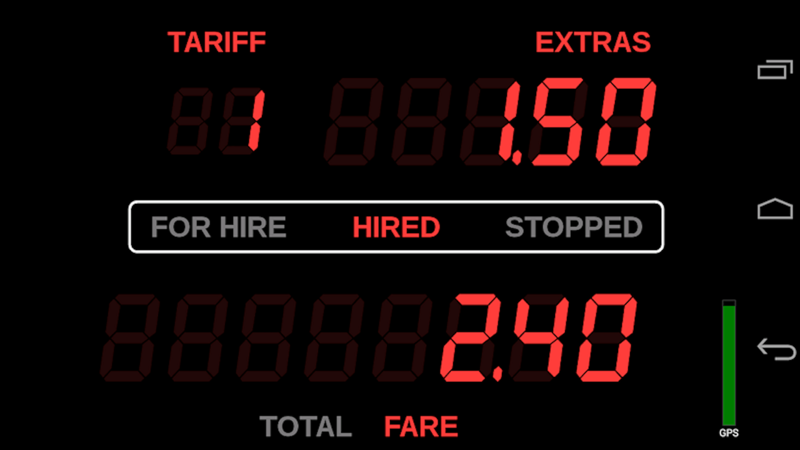 Almost double than what the taxi meter would be and if the price is OK with the passenger then the drivers get paid more. You can tell that the Thailand taxi is metered by the sign on their roof and their yellow number plates. Thailand Taxi meter fares from around the Bangkok metropolis will normally come in around 120฿ (U.S. $3.50). It is most times easier to hail a transferring taxi rather than approaching one that’s parked, particularly outside hotels or tourist areas. Bangkok Taxis will also try to take you to wrong places and say that the place you are going to has closed. Beware of this as it is a Scam. If they do not know where the place is, jump out and get another taxi. You can organise to have Thailand Taxis for a full day or half day adventure but this time it’s best to set a price.. When you leave your hotel, it is imperative that you request a business card or write their address in Thai. This can save any misunderstandings as to your intended destination or even so you can ensure that you are going back to the correct hotel. There are a lot of free maps at the airport and at your hotel’s lobby. Have a map with both Thai and English and point to the place on the map for an worry free trip. It will also form a good relationship with you and the driver. Try to estimate how long you want to hire for and show what places you want to visit. 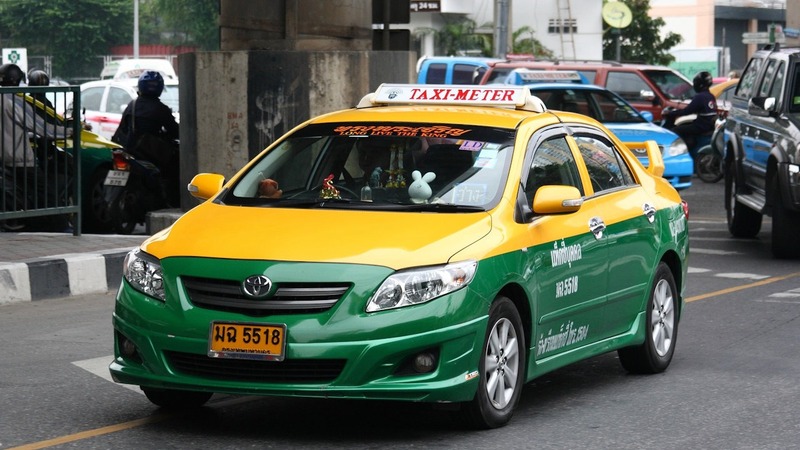 Some Thailand taxi drivers will attempt to negotiate a flat fare rather than use the fare meter. This way they’ll earn 2 or 3 the amount of what they otherwise would by get off the meter. Some common tourist areas don’t use the meter which is against the law. Be sure that you mention this and they should then comply with your wishes. Koh Samui is a place where there are metered taxis but non of them will turn on their meter. Police are suppose to be cracking down on it but it seems they are getting nowhere. The Koh Samui Taxi drivers therefore sit there all day without any business. But it looks like they are happy to sit around and talk to each other all day. In Bangkok a cab can be ordered by dialing 1661 and they’ll get you from where you are. You can also get your hotel reception or a bar employees to call a Thailand Taxi for you. If you are in a popular tourist place then hailing a cab in the street is easy and there are plenty around. There also are taxi ranks in busy tourist areas and at train stations and shopping centres. Bangkok can be very busy and heavy with traffic, so do not get annoyed that it is taking so long. Be polite and friendly and that way you will be assured that your taxi driver will be courteous and friendly back to you. You will then enjoy your ride more as then you can chat with the driver and look around at your new surroundings. You then may want to use the same taxi every time you travel around. If this is the case, ask for his phone number. Taxis, like everywhere are driven by locals that are at the low end of the working class. If treated badly they will treat you the same. Be friendly and you will enjoy your holiday a whole lot more. Don’t let a bad taxi experience ruin your day or holiday.